A tropical house design can be said to be successful when residents can do their activities with safe, comfortable and efficient. It should be noted that the comfort obtained by artificial air condition and continuous lamps usage, then it doesn’t deserve to be referred to as an efficient home. The presence of artificial air conditioning (AC) makes the house so wasteful of energy and not environmentally friendly. The heat that released by air conditioning will heat the environment around it. The heat is also caused by an increasing of room temperature, like heat from the lamps, heat from the walls due to sunlight, and a lack of ventilation ducts. Rooms that have high and broad construction, air can move freely so that the room temperature will always be cool. The ideal distance from the floor to the ceiling is more than 2.5 meters high. The principle is the movement of air in the house. Cross ventilation above the room to expel the trapped hot air. While a cross ventilation in the middle of the room is in the form of windows. Humid air can be expelled by wind blowing from the cross vent under the room. Make sure the air that coming from the outside of the house is completely free of pollution and unpleasant odors. If there is a bad smell from the outside such as smoke from the vehicle exhaust, then the window that facing to the source of smell or pollution should be closed. 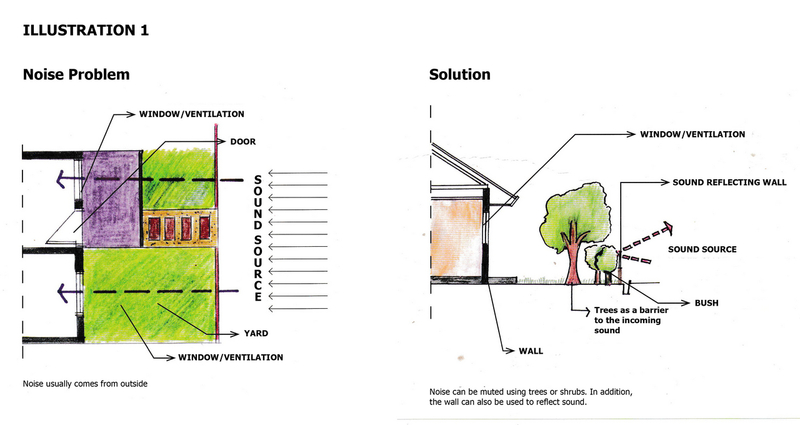 The use of ventilation also affects the sound conditions that can enter the house. 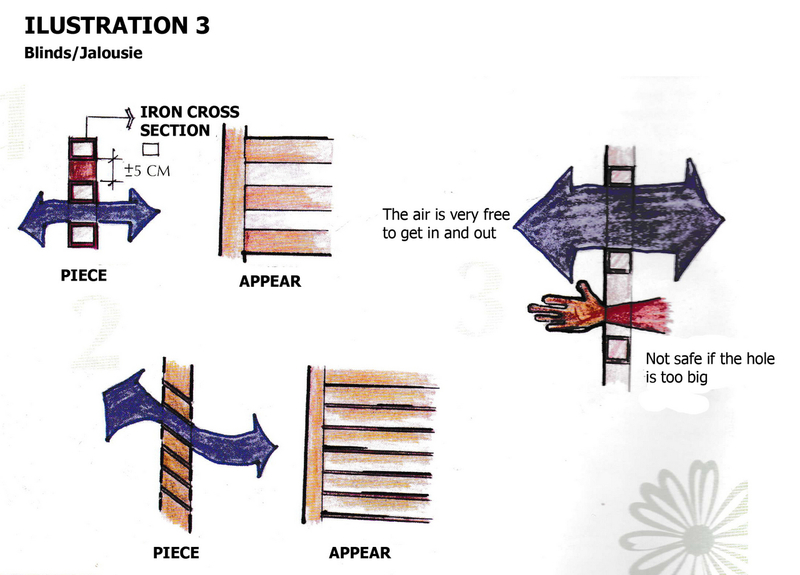 Actually, ventilation can face the sound source, but first, it’s best to make a kind of barriers in front of it, like a plant, bush, tree or wall. 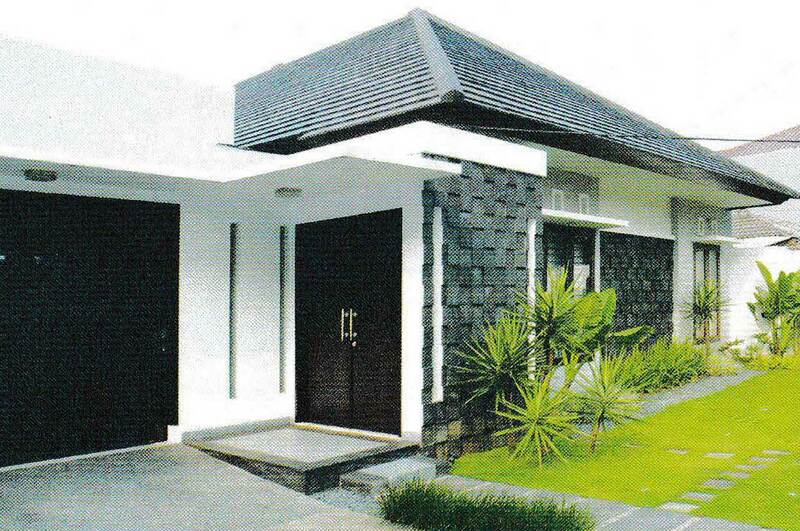 Note the room layout that require tranquility, such as bedroom, study room, and family room. Noise from the highway can be minimized by using a barrier or providing a considerable distance. Tropical house designs are currently influenced by the latest styles that develop in the community. 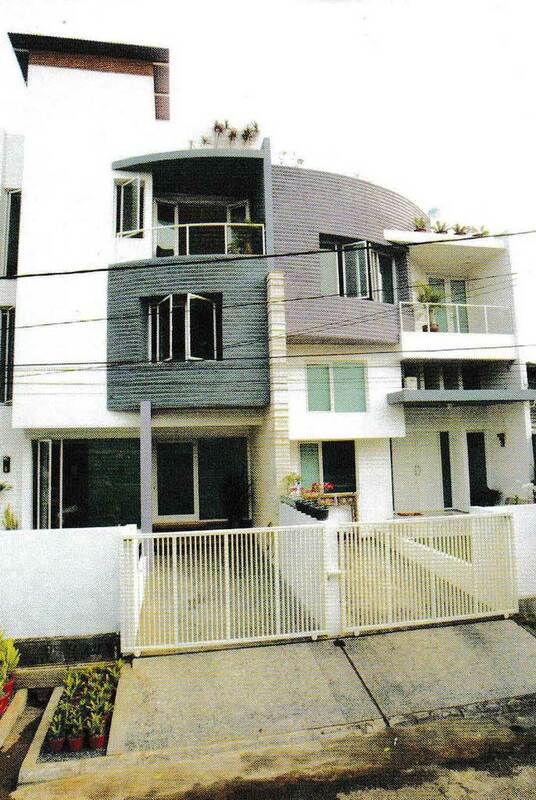 Generally, it is a house with tropical conditions that are dominant but, processed in a minimalist style. A beauty is something that can give spiritual pleasure to one’s mind. The beauty that each person feels is relative; each other has different tastes. But everyone can agree that a work can indeed be said to be beautiful if it is in accordance with aesthetic rules. There is a mutual agreement that the expression captured is a result of the arrangement composition of structure, material, texture, and shadow impression. Here are some things that must be considered if you want to beautify the appearance of a tropical home. Playing with shapes, colors, and very dynamic materials. The style applied to this house provides another insight into the minimalist style. The use of the dominant line element still shows the identity of this building as a residence. 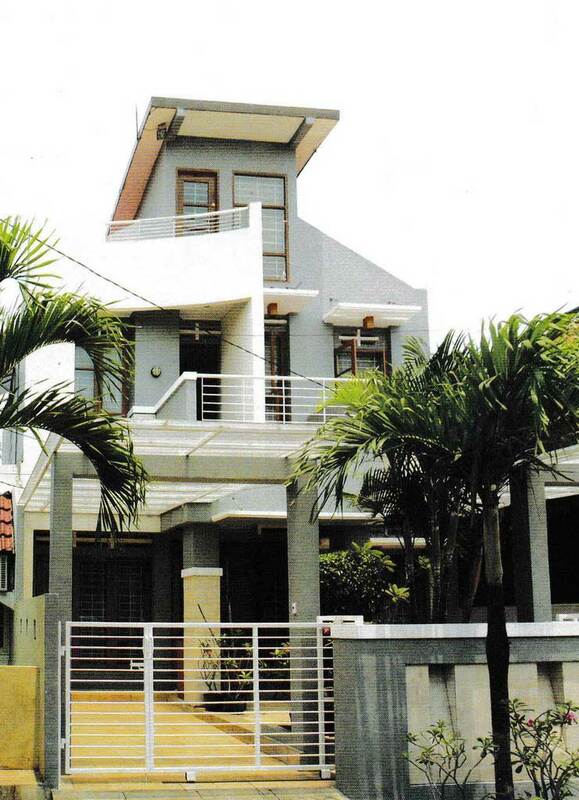 Note that the use of architectural elements in a residential house can provide different images. 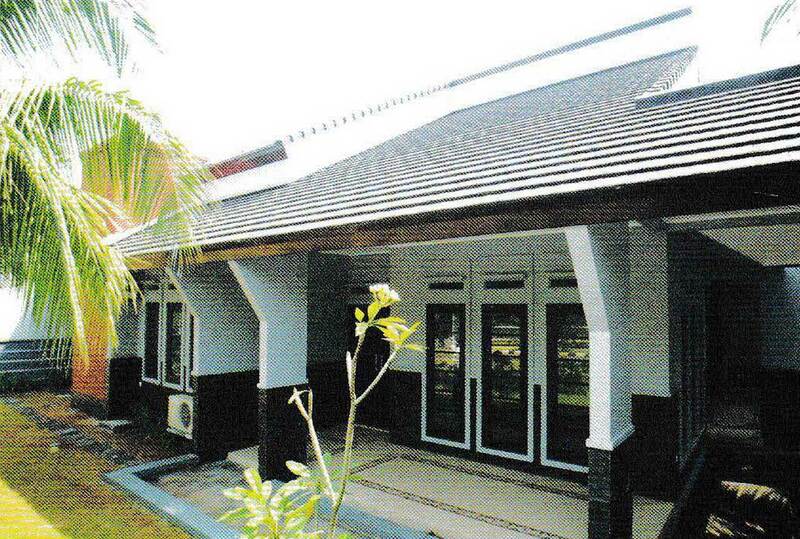 Wide eaves are commonly used in tropical houses in anticipation of abundant sunlight and leakage due to rainwater. The eaves are used from the overhanging roof field (out of the wall) and also fascia board. The front door should not overlook the street. Impression “welcome’s” can be presented by designing the right entrance facade. The entrance is easily found even though it’s not facing the main street. 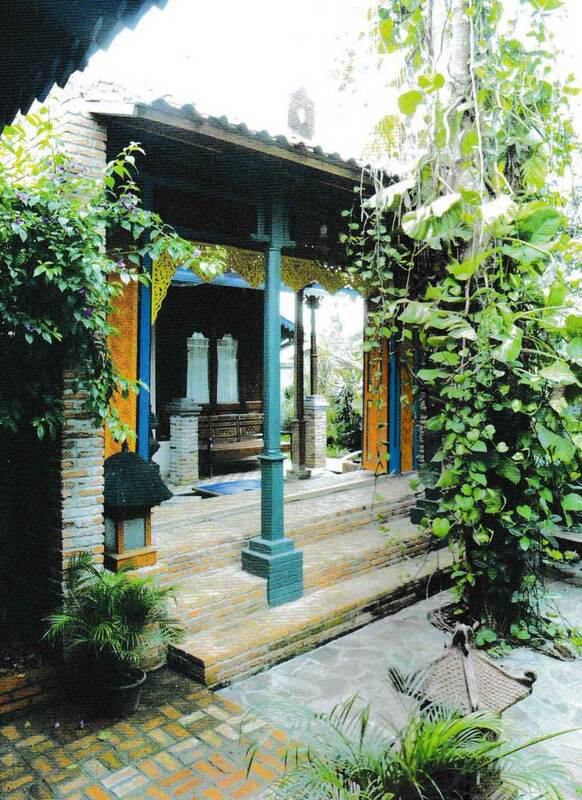 Tropical homes rely on many openings space so that the nature potential in the surrounding it can enter the building. Every architectural element that is attempted can respond to climate and environmental aspects. Usually each architectural element overcomes thermal, audio, and visual problems. Horizontal lines are widely used in building geometric models. Don’t just put architectural elements – front doors, windows, and walls – that have minimalist nuances. Also consider the aspects of balance, unity, rhythm, gradation, and the overall proportion of the facade. 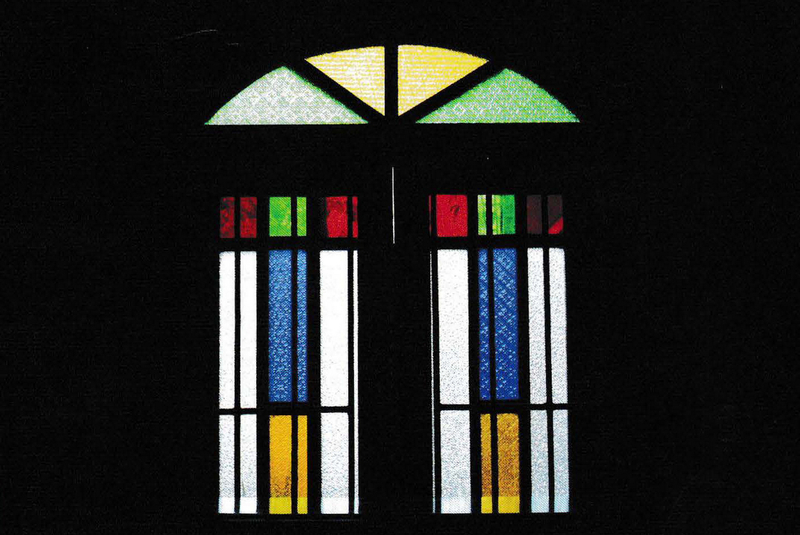 A light that falls into the room through colorful glass can provide a decorative effect. 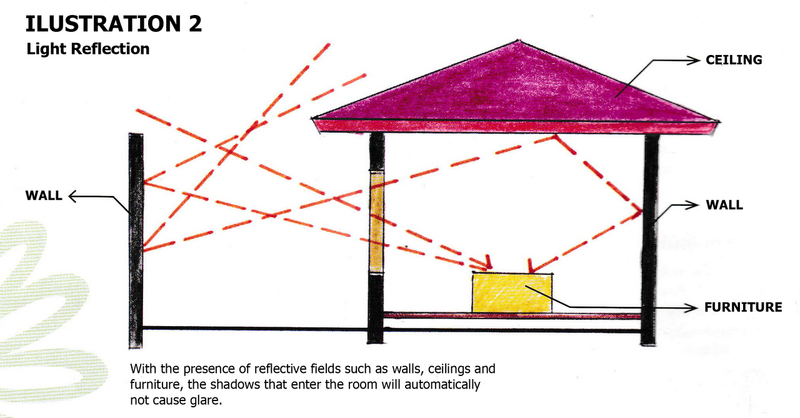 A colored glass that is hit by sunlight will provide an attractive shadow effect when you see it from inside the house. Each architectural element that is used in accordance with the characteristics of modern minimalism but, remains functional. Window dimensions that are not same indicate that the designer designed it as needed. Designing a tropical house will be smarter if you take into account the maintenance factor. 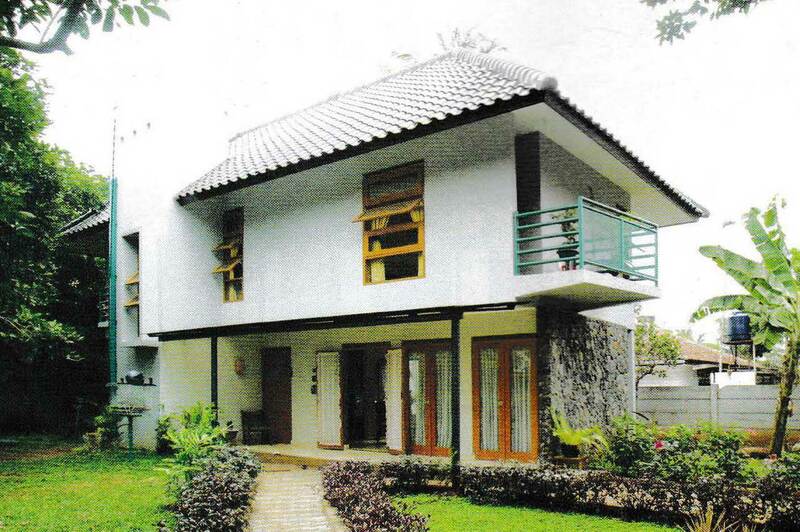 A hasty design will make maintenance of tropical homes become difficult and expensive. 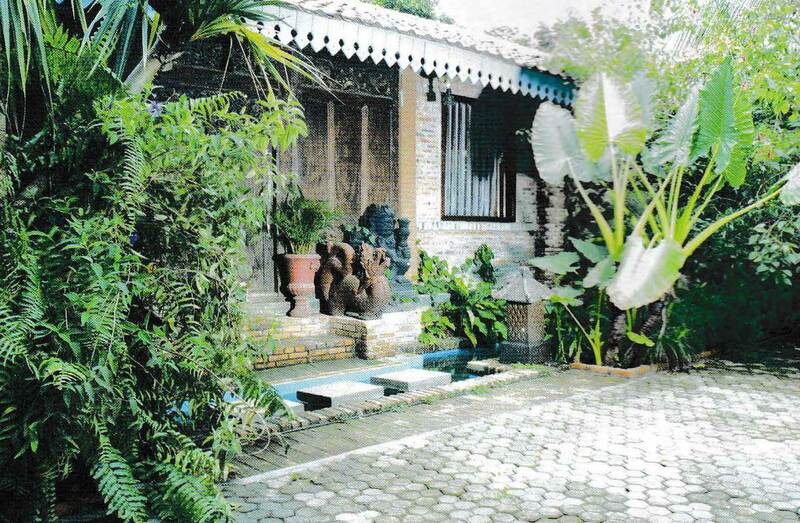 Easy and inexpensive maintenance of tropical homes depends on material selection and construction. The eaves of fascia that made from painted concrete are not waterproof. Rainwater that soaks the fascia board continuously makes it “patterned”, in the form of vertical lines along the fascia. For this problem, the fascia board must be repainted frequently. Another problem, for example, is that on a 6-meter high wall filled with glass, this will complicate the cleaning process. Likewise with the use of sun-refraction gratings located on the upper wall. So, if you would like acquire all these awesome shots related to 11 Tips Tropical House Design That You Should Know, press save button to save the images for your PC. They’re prepared for save, if you want and want to take it, simply click save logo on the web page, and it will be directly downloaded to your home computer. 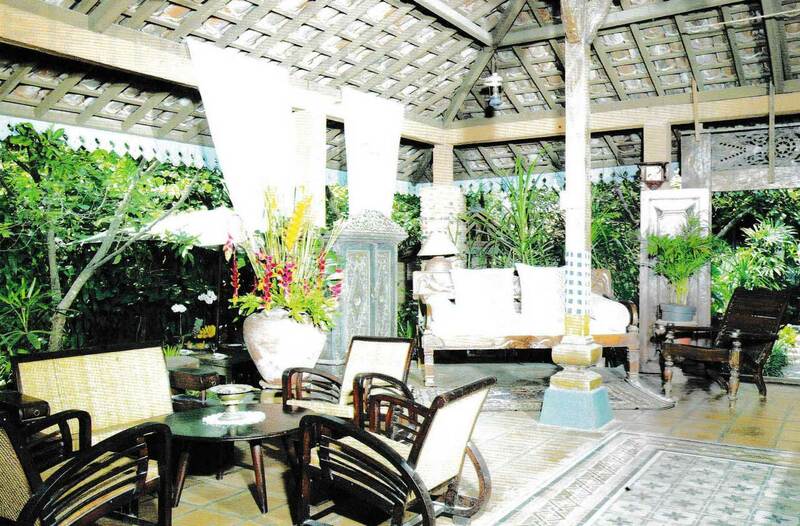 Thanks for visiting royhomedesign.com, article above 11 Tips Tropical House Design That You Should Know published. Most people attempting to find info about Tropical House Design and of course one of them is you, is not it?